If you get regular paychecks from your employer, why not enroll in a service that puts your money into your bank account automatically. It's easy to set up - either by giving your employer your bank account information or by registering for it through your bank. The main benefit? You can use the money as soon as your financial institution receives it—no trip to deposit a check required. *Extra Bonus* USALLIANCE members get paid up to two days early when they set up direct deposit through their MyLife Checking account. And if you like seeing your pay stubs, you can still view them online through your employer. Do you really need your paper bank statements coming in the mail each month, just to go in a large folder of financial records? Probably not. 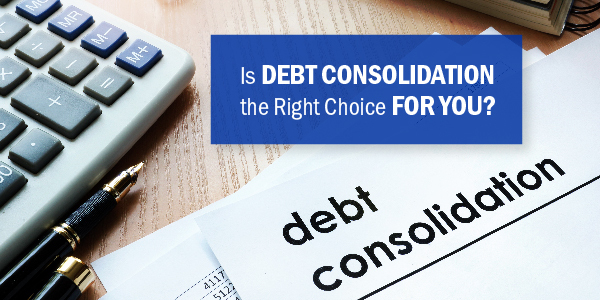 eStatements are readily available through online banking and contain the same information as a traditional paper statement. Plus, they’re secure and can be easily stored and saved for future reference. Also, with online banking you can see your transaction history as it occurs instead of waiting each month for a paper list. 3. Pay your bills online. 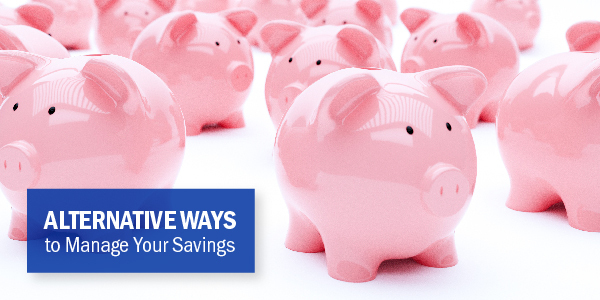 When you pay your bills online, you save a check, envelope, and stamp. 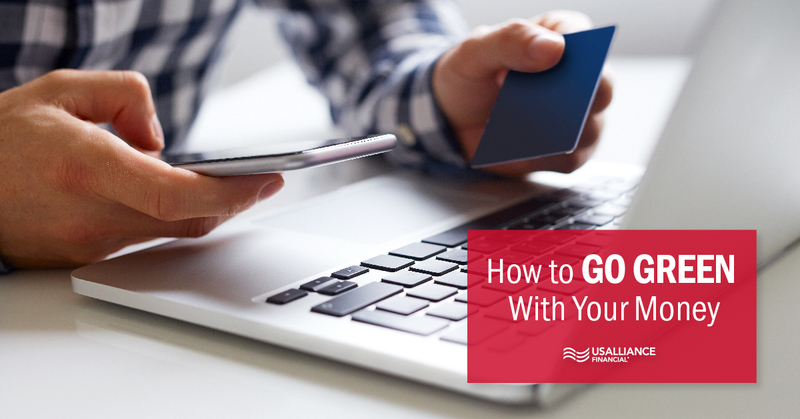 All you have to do is go to your service provider’s website and access your account—be it credit card, utilities, internet, etc. and input your bank account information to make a payment. You can either set up automatic deductions or choose to make manual payments month to month. The days of casually writing a check to someone are over for the most part. There are many services that allow you to send money that only require you to have the recipient’s name and either their email address or phone number. USALLIANCE customers can use Popmoney®, a personal payment service that lets you send money to almost anyone. You can also electronically transfer money between your multiple accounts—either under the same financial institution or between different ones. 5. File your taxes online. Taxes involve a lot of paper. However, there are many programs that help you do them online, which saves you a lot of printing. 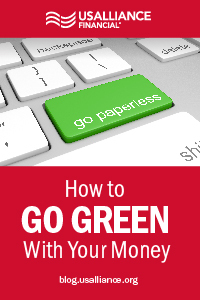 It's easy to go green with your finances. After all, you already rely on your phone and computer to hold and manage most of your information. As a USALLIANCE member, you get access to an abundance of eServices. All you have to do to take advantage of these “green” features is open an account— it’s that simple.